Most people, I’ll warrant, find most poetry insufferably laced with flowery superlatives, or inscrutably larded with pedantic references. Yet some poems can be engaging, usually in one of two ways. There are of course those delightful little ditties, often funny and song–like. However, every once in a while, we may read a poem that makes us drop our shoulders and linger over the words as we absorb a thought or feeling so profound that only a poet could have found the words for it. The physicians who write poetry are sometimes more poet than physician, or vice versa. And a few are, or were, masters at both. In any case, medicine and poetry are readily entangled by the ‘unbearable lightness of being[’. Here is a brief introduction to a few of the physician–poets taken from the archives of history. We will also touch upon an unrealized need and unmet duty of most doctors, one that is best expressed poetically. We then close with a pointer to some resources. Doyle, the author of Sherlock Holmes, deals with a wide range of topics, including a long ode to mortality. Incidentally, the Sherlock character’s powers of observation and deduction was based on his mentor in medical school— Dr. Joseph Bell, himself an amateur poet. Williams was an extensively trained pediatrician who practiced his whole life in Rutherford, New Jersey. He was also a peer and friend of Ezra Pound and mentor to Allan Ginsberg. He won a Pulitzer Prize but was dismissed as Consultant in Poetry to the National Library of Congress at the hand of the McCarthy-ites. As an ‘imagist’ he paid great attention to objects, but only implying their significance (“no ideas but in things”). 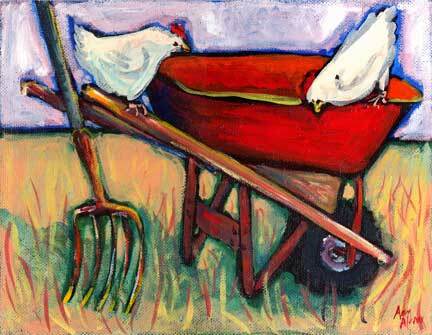 Williams commentary on The Red Wheel Barrow gives us some insight into how his experiences became poetry. If you prefer a longer piece, also filled with vivid imagery, see his epic poem, Paterson, published in five volumes. Listen to Williams read at Columbia in 1942. I meant to understand what fever was, not love. I see myself laid bare. Forgive me, body, for what seems like calculation when I take a breath before I cut you with my knife, because the cancer has to be removed. Forgive me for not telling you, but I’m no poet. that sounds so much like yours. beside you under the same moon. for giving up too soon. 'Morbidity and Mortality Rounds' is the term for the hospital tradition of reviewing cases the had bad outcomes: from errors, even those without consequence, to deaths that were ‘avoidable’. It is an exercise in clinical analysis that masks the fear and shame of failing. For an interview with Campo see A Doctor Explains the Healing Power of Poetry. When doctors assume God-like responsibility for life and death, it is an act of hubris. The calling is sanctified only when tempered by humility, the humility that comes from asking forgiveness—for the inescapable shortcomings of being human, and not a God. But poetry says it better. Over 50 physician–poets surface in a page-ranked list from a Google search, ranging from Judah Halevi (1075–1141) to six living physician–poets. It would nice to have some guideposts for sorting this out and exploring further. For contemporary offerings see The Hippocrates Initiative for Poetry and Medicine. Since 2010 it has been awarding annually its Hippocrates Prize. The related publications have been well received. Audio and video recordings are available online. You can watch a video interview of a winner from 2017. The deadline for 2018 consideration is Feb 14, 2018. You can enter online. Who knows? A 2013 winner was none other than Rafael Campo. For more motivation, see Patients Need Poetry, And so do Doctors, on Slate. The Yale and University College London Collaborative sponsored a medical student poetry contest in 2014 and got some 450 entries. A valuable archive is held in the venerable NYU School of Medicine’s LitMed database, including a database of poetry in medicine. As the author of an article in Lancet from 1997, Literature and Medicine: Physicians and Poets, said: “Physician and poet can both be healers”. "Infused with hope, heartbreak, and humor, this book gathers our greatest poets from antiquity to the present, prescribing new perspectives on doctors and patients, remedies and procedures, illness and recovery. A literary elixir, Poetry in Medicine displays the genre’s capacity to heal us. " " Poems by Physicians explores the profound connections between medicine and poetry through the eyes of contemporary physician-poets. These one hundred poems record instances of pain and recovery, joy and grief, humor and irony within the restricted society of caregivers and their patients." Let us know about a medicine–related poem or poet that is important to you. Leave a comment, email us at info@medicalhistorytour.com or visit medicalhistorytour.com. You can find history of medicine books through our Amazon affiliate link.